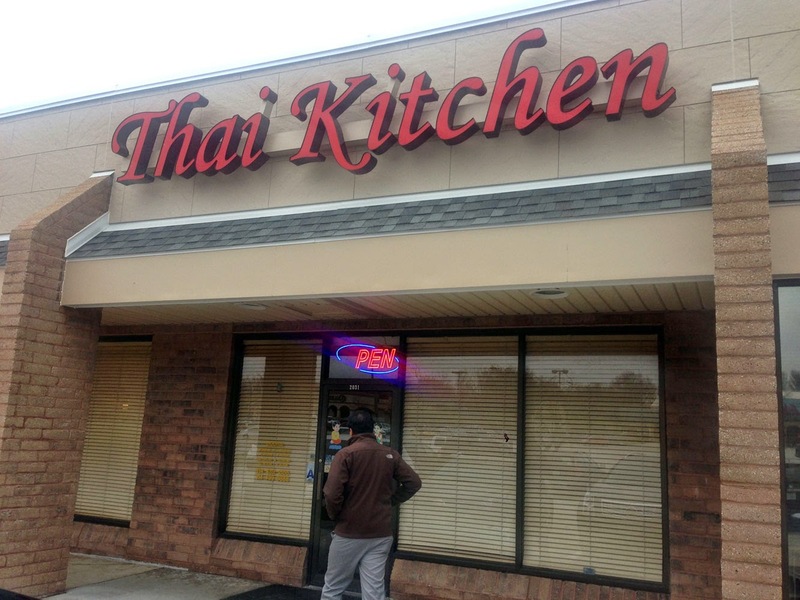 This location of Thai Kitchen is located at 3899 Veterans Memorial Pky, Ste B, St Peters MO 63376 towards one end of a strip mall. The rather unassuming exterior is fair indication of the interior, which was very busy for lunch - even so, our wait wasn't more than about 10 minutes. 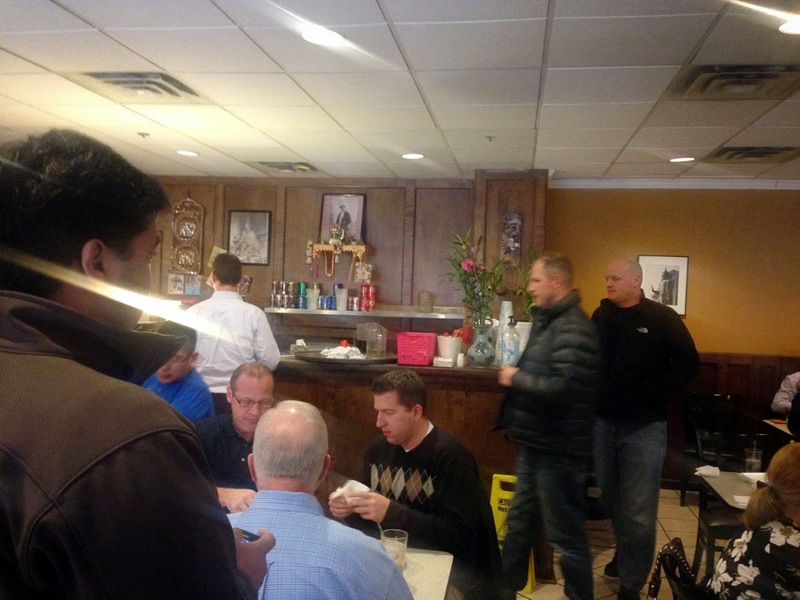 This was our second lunch spot as our team visited a local business location for a summit late last year. 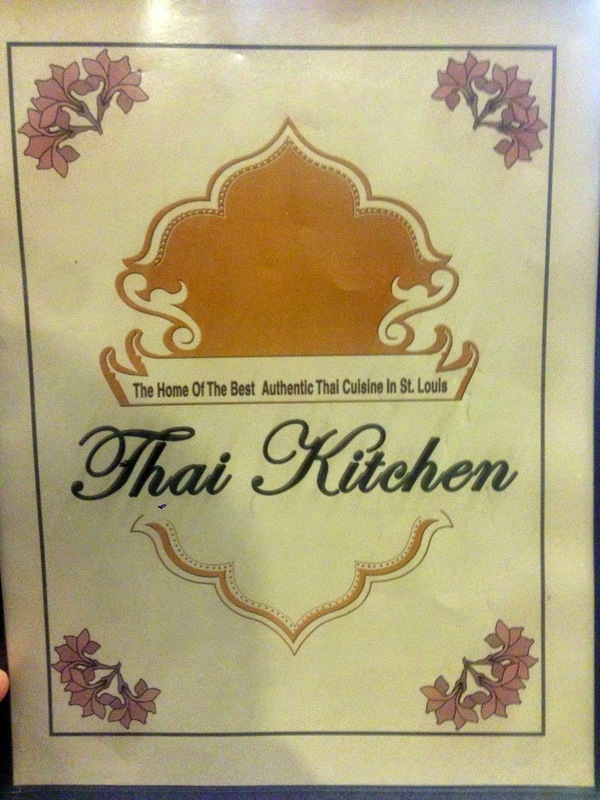 We did our usual Yelp search and Thai Kitchen was both close and highly rated with 4 stars. 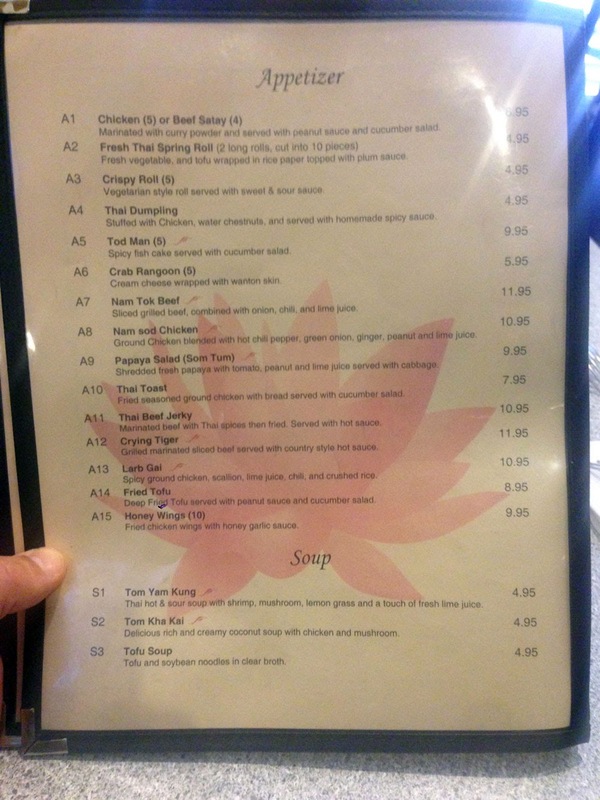 Personally I think the rating is pushing things slightly, but perhaps I'm spoiled with all the fantastic Asian food available near me in Atlanta along Buford Hwy. Don't get me wrong, the food here is above average, I'd call it 3-3.5 stars. From some of the most recent reviews this place seems to be in decline, but I'll reserve judgement and long talk about what I had. 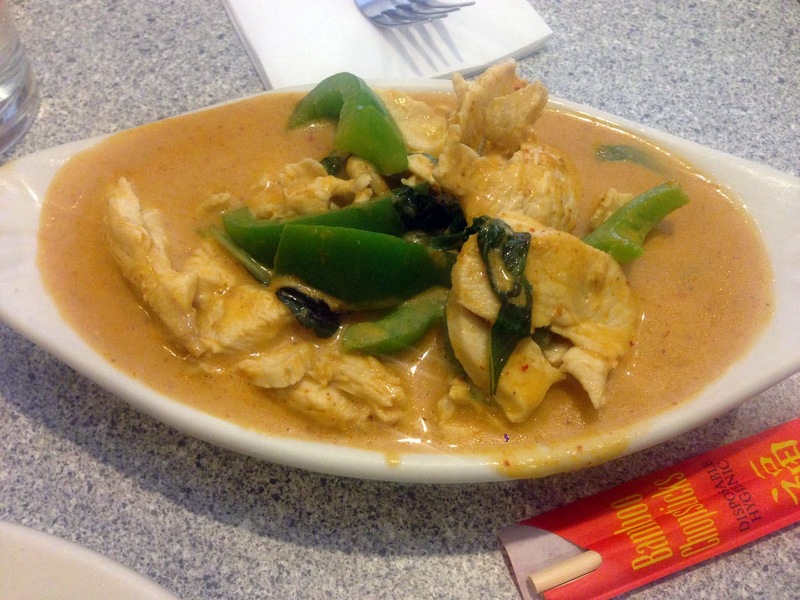 The menu has several pages of typical Thai cuisine items - for me I always like to try the penang curry and see how each Thai restaurant handles the spices and turmeric - I'm happy to report that the ratio of spice to coconut milk in mine was quite good. It was also a fairly large portion for lunch. Some of the other dishes also looked interesting, like the Red Bean Curd Noodle Soup. 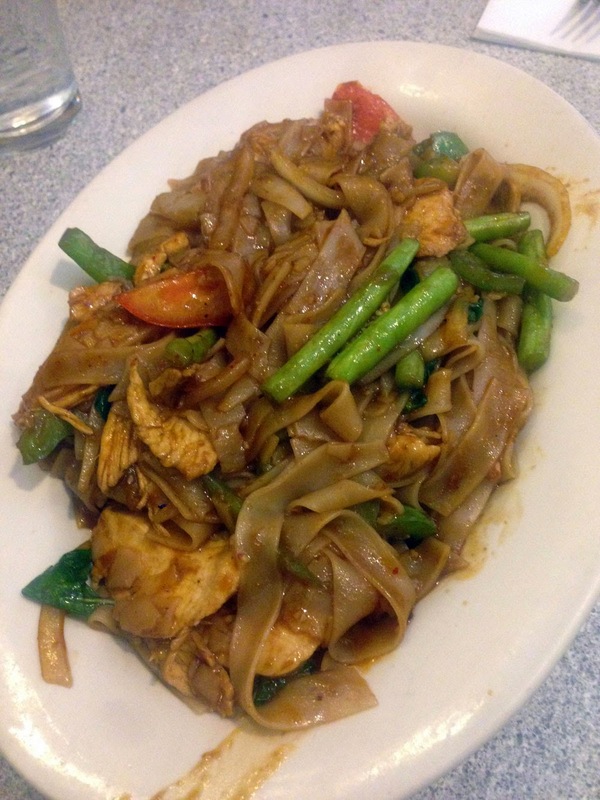 Other dishes we tried includes the Spicy Noodles with Chicken - this dish had wider noodles and green beans...personally I thought it a bit bland but my dining companion Sangam seemed to like it. 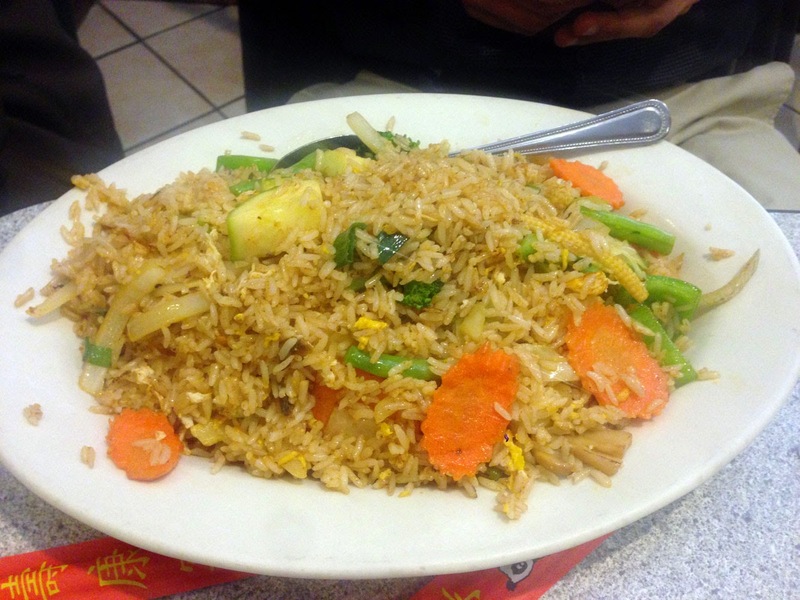 And the veggie fried rice for our vegetarian, Sid. I'm one of those that really doesn't like fried rice - if you grew up in an Asian family, you'll know that you fry up the left-over rice from the previous evening's meal the next day. 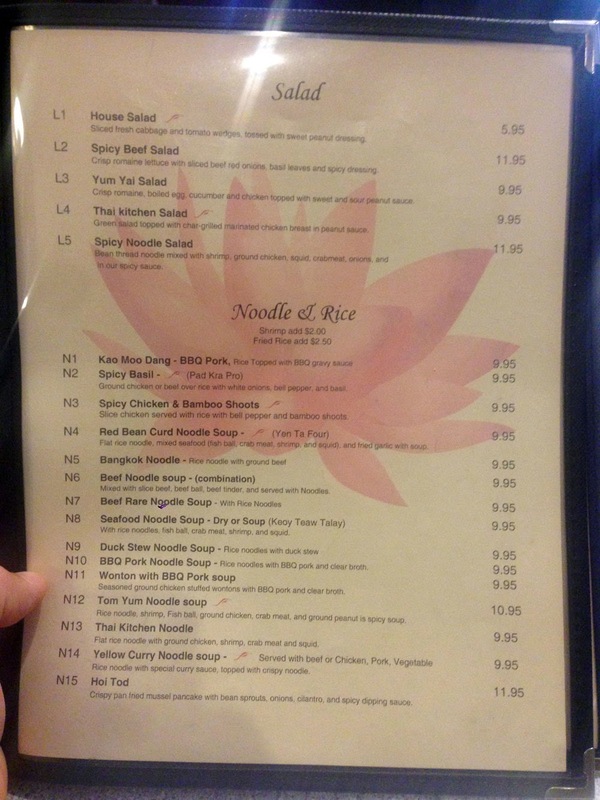 Because I think of it more as being efficient than as a dish in itself, I never order it. And more, the only style I like is with egg, Japanese style - this usually has more of an umami feel due to the egg and pinch of MSG - it's also usually heavier on the soy and might have a little sesame oil in the mix, but I digress. Sid liked it and that's all that matters. 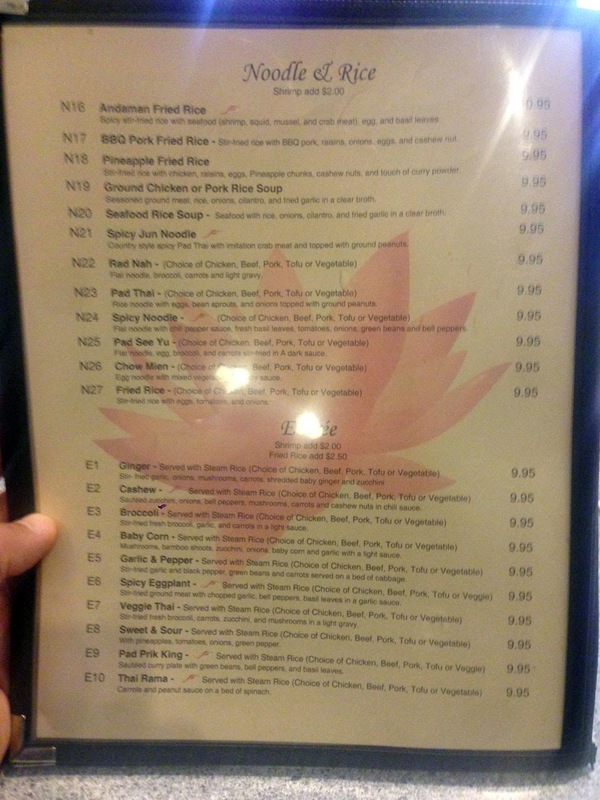 All the dishes were a bit mild - something that seems to be a trend in the US. Even asking for the spice level to be jacked up a bit does little but approximating what I experienced while visiting Thailand. Passing out the little dish of chili sauces really doesn't do it either - if you cook and the dish already has elevated levels (*to Americans) of spice, you have to increase all levels as you pile on heat or the flavors get muddy and lost. Service was very good but as usual it was tough to get your water glass refilled. At least we didn't have to hunt down the waiter (like I did in Thailand)... In all, a very satisfying meal.